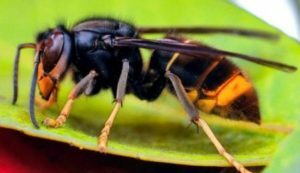 With the recent discovery of an Asian hornet (Vespa velutina) and nest in the Tetbury area of Gloucestershire, and the further discovery of an Asian hornet and nest in Woolacombe, North Devon it is important for beekeepers to be aware of what an Asian hornet looks like and to remain vigilant. The easiest way to differentiate the Asian hornet from the more common European hornet (Vespa carabro) is by looking at the abdomen. 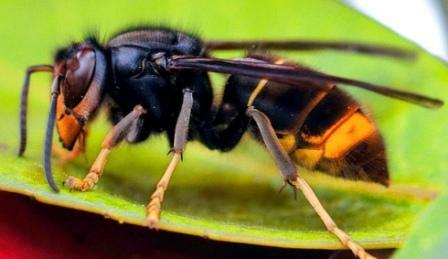 The Asian Hornets abdomen is almost entirely dark except for the fourth segment which is yellow. More information about identification, where to report sightings and other background information is available from the Nation Bee Unit website. 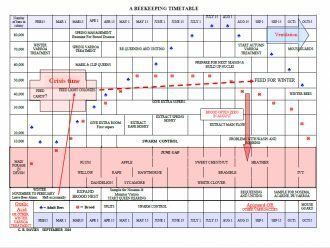 Sightings should be reported to Great British Non Native Species Secretariat and our Asian Hornet Action Team leader Colin Lodge.